Acorn Independent Press is a limited UK company based in Bromley, England, and it was co-founded in 2010 by brother and sister team, Leila and Ali Dewji. I came across this company at a very early stage in May 2010 and passed up on an overview of the services offered. It was clear to me that many aspects of the company’s foundation and online presence still needed to be fine-tuned and worked on. There was no catalogue of books available and the website lacked a depth of detail on the publishing services on offer for an author. A year and a half has passed and the company has made considerable progress and I feel it is now time to take a close look at what is on offer for authors considering a self-publishing path. Firstly, the development of Acorn was initially slow – at times, I felt it was painfully slow, and that worried me when I looked at a relatively recent start-up venture. When an author solutions service starts offering services without at least a small catalogue of books – it means the company has yet to reach the status of being an author solutions service or publisher. There was, as of April 2011, no titles flagged on Amazon or on any databases, however, three new releases for June 2011 were successfully launched, including Kate Nivison’s latest travel writing adventure, Travelling Light, and Terence Jenkins, Another Man’s London. Further titles have now been released in Kindle and paperback across September and October, and more are slated before the end of this year. While even the best of companies have to start somewhere, one of the strengths of a small catalogue of books on offer from the start is the ability of a prospective author to order a book and see first-hand the physical quality of a book. The author can then decide if it meets their standard and expectation and also delivers the value and quality claimed by the company in its publishing packages. This author solutions service has certainly picked it up since the summer and a stand at the London Book Fair and a self-publishing masterclass during the spring helped a great deal to start the wheels spinning for Acorn and its authors. I’m hitting the ground running here with Acorn, because I am making a critical point about the dangers to authors of new start-up author solutions services without a catalogue of product and momentum – ready to go out of the box. It is not easy in these times for any company starting out of the blocks and I’ve seen far too many in the area of publishing services come and go both in the UK and the USA. The prudent advice for an author is often to wait several months and see how a company and its services develop. Browse through any news pages of publishing trade magazines like The Bookseller or Publishers Weekly and you will read many items about new start-up trade imprints from established publishing houses. All of those news items on a new imprint or brand new press will include details of the first titles to be published. Acorn Independent Press launched in 2010, I personally felt, somewhat prematurely. Ali Dewji, co-founder of Acorn, explained to me that in the initial months after set-up the company primarily focussed on forging close links with the local writing community and that led them to fund and set up the Bromley Literary Festival, present a workshop seminar at this year’s London Book Fair, and develop service associations with several literary agents, including the Ed Victor Literary Agency. Acorn has just announced the launch of Good Times, Bad Times, by Sir Harold Evans, published by Bedford Square Books, an imprint of the Ed Victor Literary Agency. Out of print and backlist books is just one area Acorn is targeting for expansion and currently we are seeing a growing number of high profile literary agencies looking to monetize their authors’ unavailable back catalogue through ebook and print on demand models. Acorn has continued to support the workshop and literary circuit extensively over the past few months (http://mim.io/92daf), connecting with the writing community and presenting their publishing services in a very professional way. Following on from their experiences earlier this year meeting with many authors, workshops and literary agencies, the company decided to revamp and expand the publishing service packages available. Company founders, Leila and Ali Dewji have both worked at leading publishers before founding Acorn. Ali Dewji has worked for Emap in developing their sales and marketing programs, and Leila Dewji has worked in various rights and editorial roles for Scholastic, Orion and at Shiel Land Associates as an assistant literary agent. Too many so-called experts move into the arena of author solutions services and have little or no real publishing and marketing experience to offer. Acorn came as a welcome surprise to know—for a change—that there was at least some discernable publishing and media experience operating at the heart of this company. Leila read English at Christ Church, Oxford and spent time as a journalist before moving in to book publishing. At Orion Books, she honed her editorial skills and gained editing qualifications before being head-hunted by literary agent, Sonia Land. Whilst at Sheil Land Associates, Leila developed many authors and lead one of the first literary agency e-book programs in the UK. Leila has with her a passionate team of experienced editors who have all been trained at top international publishing companies. Having studied Business & Finance at Sheffield University, Ali has a solid commercial background. Upon leaving university, Ali got a job within a week at top publishing company, EMAP. He has worked with global brands to devise, run and manage effective targeted campaigns across all manner of print and online media. He thinks outside the box and is always coming up with new and ingenious platforms, both on and off line, to sell and promote books. He loves social media and manages Acorn’s online presence. This is how Acorn plans to administer this expertise. So, Acorn Independent Press describes this approach as ‘another way’ for authors to see their books reach publication and readership. What Acorn and many companies like them are offering an author is an alternative to the traditional path to publication. Acorn offer four different publishing packages focusing exclusively on POD (print on demand) and ebook publishing ranging in price from £1000 up to £400. The packages are based on a book up to 85,000 words in B-format (129 x 198mm) paperback. Acorn do accommodate all types of books and manuscripts in various sizes, formats, paper stocks, binding, b&w or colour, fiction or non-fiction. All book stock is printed through Lightning Source. That is a little more than many author solutions services provide in their basic package (though others are cheaper) and even some advanced packages don’t include the all the wholesale and online listing. All print work and set up is done through Lightning Source and much of the basic stuff is looked after by Acorn. The ISBN is registered under Acorn’s own imprint, so technically an author is not truly self-publishing, but much of the administration of publishing a book is looked after with this package. It should be noted that the Kick-Start Marketing Pack is really a guide to how an author should go about marketing their book and provides advice and templates. It is not PR marketing or representation. Once the book is designed and produced, the author will need to be very hands-on in the marketing and promotion of their book. With this kind of basic publishing package, I’d much rather the author had the option of being the registered owner of the ISBN and having the option of using their own imprint name rather than the Acorn name. 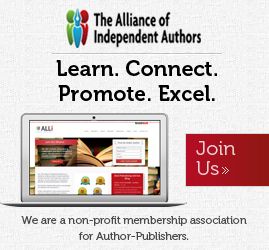 Self-Publishing with Acorn means that the author pays for, and is in total control of, the publishing process. We use our expertise to produce your work and get it into wholesale distribution channels. It will be published under our company, the ISBN will be registered to us but all copyright remains with the author, as stated on the copyright page of each book we print. The copyediting is certainly worth the cost alone if it is carried out by a professional editor, and I would suggest any author – whether using a private freelance editor or an editor working for an author solutions service – should always request sample work from that editor. What really makes this package work is the physical placement of actual books with a wholesale distributor. The savvy author solution services are starting to realise that a strict POD model is not conductive to making a book as accessible to the potential reader as a model/package that offers ebook, POD and print availability. Ultimately, it should be borne in mind that very few author solutions services can offer what traditional publishing houses offer – a dedicated sales force working with retail buyers putting books on the shelves of high street shops. This package begins to touch upon what some traditional publishers do for every book release – press releases, AI’s, consultation, etc. Again, much of the marketing plan originates from the consultation, but the author remains heavily involved and hands-on in the implementation. An inexperienced author might benefit greatly from this kind of guidance, but because so much still remains in the hands of the author, I’m just not convinced of the value at £3000. With this package, Acorn plays a more active role in disseminating the promotional material for the author, but again, I’m struggling to deal with the cost of £4000. If an author is going to pay this kind of money and is serious about a publishing career and selling books to recuperate their expenditure/investment, then it is likely that author will already have an active social network and online website presence. So, those aspects of the two high-end packages may be redundant. Where the package does bear value is having a publicist available and promoting the author over the launch period and following weeks. Acorn offer a standalone package for ebook publication priced at £400 (up to 85,000 words/250 book pages – £35 per additional 10k words). This includes full formatting and design, proofreading and online distribution. A straight conversion service is also provided from complete print ready files for £200. Importantly, Acorn is flexible and will adapt services for authors depending on the book project, be it for a colour or illustrated book with specific design needs and publication in paperback and hardback in various trim sizes. I think this is an important approach for any author solutions service. Savvy authors prepared to invest in self-publishing are often reluctant to sign up to publishing packages that include services they consider erroneous or they believe can be obtained elsewhere. As an example, an author might approach a prospective author solutions service with a professionally edited manuscript, or even a completed print ready file ready for publication. Likewise, a semi-professional author may already have their own PR publicist, competent and familiar with working with an author. Acorn demonstrates a great deal of the services an author can ultilise, but I’d rather see a menu of individual services broken down by description and cost. Acorn pay royalties to the author at 50% net (after print and retail/wholesale discounts of 30%). Acorn disclose the print costs in the below example, indicating that there is at least no hidden mark up on print prices. My concern is that offering just 30% discount to booksellers may result in limited take-up of a title, and there seems little flexibility built in. That’s fine if we are dealing with ebooks and a contract with one of the ‘big six’ publishers, but the 30% discount offered on print sales represents the competitive market small publishers are operating in to make a profit on books. Consider that retailers like Amazon require anything up to 60% discount on some titles from independent publishers. Ali Dewji of Acorn explains that the example given on the website uses 30% as a retailer discount but larger discounts will certainly be offered if it means getting an author’s book to market and the company will take a flexible and professional approach. Authors looking to purchase their book directly from Acorn will get the books at ‘cost’ according to their FAQ pages. I’d feel far more comfortable if that read ‘print cost’ with no other mark-ups factored in. Overall, there is a lot to like about Acorn Independent Press. 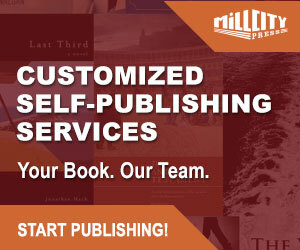 This is not just another author solutions service, but one run by people with experience in book and magazine publishing. I think the marketing packages for authors needs a little more work, and beyond the Kick-Start guide, I’d suggest the PR brief on the two higher packages be removed and form a single marketing package. That would allow more flexibility and reduce the cost of the two high-end publishing packages. The launch of Acorn Independent Press last year was slower than I would have expected, but, clearly from talking to co-founder, Ali Dewji, it has been deliberate and based on developing a local profile in the writing community, and this year, nationally at the London Book Fair during spring. Right now, Acorn has been selective about the books it takes on for publication. Time will tell whether this philosophy will continue. Much will depend on the quality and success of the titles for publication during the final quarter of 2011. As I write this piece, Acorn is putting the final touches to the revamp of their website. I’m all for re-invention, because modern publishing in all its facets is about change, connection, innovation and flexibility. Acorn tick all of those boxes, but sometimes it’s also good to find your ground, sit still just for a while and find your climbing feet. The signs suggest Acorn is doing exactly that. I am going to give a rating on what is presented, executed, and promised, but it is strictly provisional, until I really see how Acorn delivers what is in their publishing packages. This is case of a lot well done, a lot promised, and just a little more to do. The above website has been unresponsive for some time and appears to have shifted its businesses to other websites. Removed from the Publishing Index in April 2018. 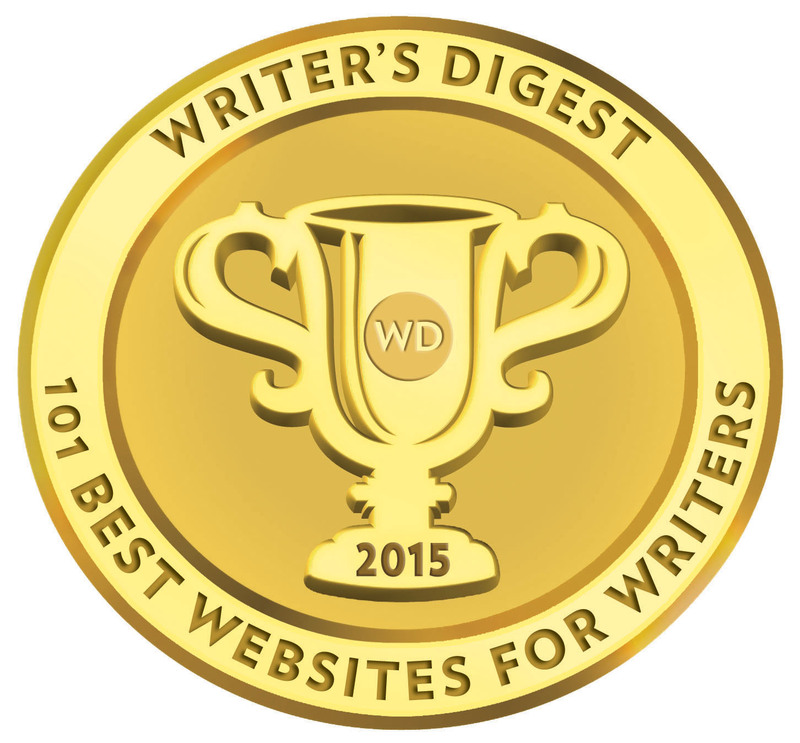 Comment left at To Self-Publish or Not to Self-Publish website. I’m Ali Dewji, Sales & Marketing Director of Acorn Independent Press. Firstly, thank you for taking the time to reveiw our business. The initial idea for Acorn came about a year ago, after putting business plans and extensive market research together we registered as a limited company in September 2010 and didn’t launch our company to the public until Janury this year. We wanted to wait until Leila and I could commit all of our time to Acorn before launching. Since January, we have taken on 10 authors, 4 of which we are launching in June. The reason being that we are launching our own literary festival in Bromley in June to raise the profile of our company, our authors, the libraries and arts & literature to Londons largest borough which has previously been labeled as a “cultural desert”. This is an example of some of the marketing prowess you can expect from us as part of the Mighty Oak package. Our festival is being sponsored by Waterstone’s, Bromley Central Library and many other local businesses. More information about Bromley Literary Festival can be found at http://www.bromleylitfest.co.uk. The launch event is on Wednesday 15th June and it would be great if you could join us and check out our authors and their books. We also brought one of our authors along to the London Book Fair to speak at our seminar, a privilage not many authors can boast. As these are our first titles and we are launching them at our own festival I’m sure you can appreciate the need for us to check, re-check and check everything again as we would rather ensure quality than get books to market quickly. 30% discount to wholesalers is given as an example. In the Mighty Oak package where we are managing the launch we can be flexible on the level of discount and negotiate with retailers and wholesalers on a title by title basis with the best interest of our authors at heart. The discount will in some cases be greater and i apologise if that is not clear on our website. I will have that edited immediately. Thank you again for reviewing my company and if you e-mail me your mailing address, I’ll be happy to send you an advanced review copies of our June launch titles.